It was a well-played tightly contested softball game between rivals, and two outfield plays went a long way in deciding the outcome. Both were good defensive efforts, but Science Hill robbed a homer while Daniel Boone saw one slip away. The end result was a 4-3 win for the Lady Hilltoppers on Wednesday at Metro-Kiwanis Park. Science Hill (13-3) moved into first place in the Big Seven Conference with a record of 3-0. The Lady Trailblazers (13-3) fell to 2-1 in league play. With two outs in the top of the second inning and the game tied at 2-2, Boone’s McKenna Dietz hit a fly ball to right field that probably had the distance to get out of the park. However, Science Hill freshman Emma Cullop tracked it down, reached above the yellow guard on top of the fence, and made a spectacular catch. Unfortunately, Cullop hit her face on the chain-link fence and had to be removed from the game. In the bottom of the third inning with the score still tied, Science Hill freshman Jayden Salts hit a fly ball to left-center field. Dietz tracked it down and tried to make a running over-the-shoulder catch. The ball appeared to be short of home-run distance, but it hit Deitz’s glove and went over the fence. It gave Science Hill a 4-2 lead, which was all it would need. Boone struck quickly with two first-inning runs, but Bennett had a loud and authoritative answer in the bottom of the frame. She hit a homer that cleared the left field fence with plenty of room to spare. Neas got off to a rocky start, but finished strong. Neas went the distance, allowing eight hits and three runs with no walks and eight strikeouts. For Boone, Nickolette Ferguson surrendered six hits with two walks and nine strikeouts. Dietz and Megan Ackerman each totaled two hits for the Lady Trailblazers. 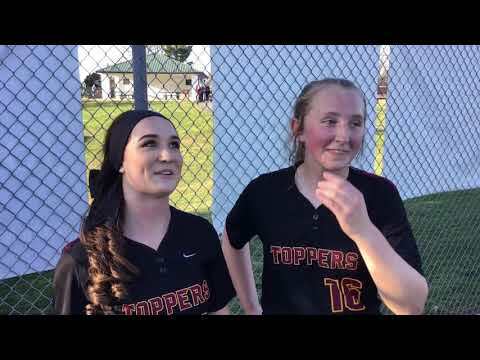 For Science Hill, Bennett and Mackenzie Powell each had two hits. Head coach Jeremy Jenkins said it was a battle.